Hunting is a popular activity on Stewart Island in the 21st century. Blocks of land are set aside for hunting deer. 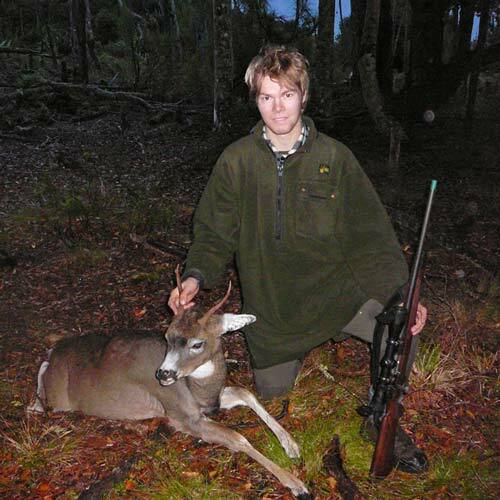 This white-tailed deer was shot by Michael Lindsay from the Hutt Valley on the Big Kuri block in the autumn of 2009.